The biography traces the incredible tale of the bewitching courtesan, the Countess Valtesse de la Bigne, who clawed her way up from humble, impoverished origins to become one of the most sought-after and glamorous women in Paris. Her lovers included countless painters, writers and politicians, while her affairs with women caused a scandal in turn-of-the-century Paris. She was painted by Édouard Manet, she negotiated the country’s political affairs with Léon Gambetta, she wrote a novel and in turn inspired the novelist Emile Zola, who immortalised her in his scandalous fiction Nana (1880). With the wealth she acquired, she lived a luxurious lifestyle, and purchased fabulous mansions, carriages and an art collection which made her the envy of connoisseurs across Europe. 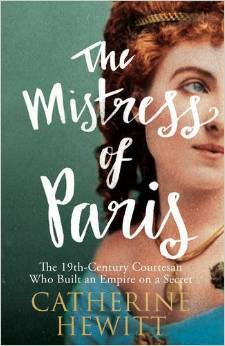 The Mistress of Paris is the story of the 19th century’s answer to the modern-day ‘It’ girl, of one of the most skilled self-publicists who worked tirelessly to fashion her own image, yet who ensured that her life remained shrouded in just enough mystery to keep her audience transfixed - and hungry for more. "Already the recipient of a Biographers Club Prize, Icon is drawing comparisons with The Pike." "Incredibly readable…innately fascinating…Hewitt has a great deal of knowledge on the time period of 19th-century Paris..much to enjoy in this engaging account of Parisian culture." "a fascinating biography…Full of detail and astute observation, the book is a remarkable tale of a woman who never stopped aiming high, but whose personal life was shrouded in mystery. " "this proves to be both a full and intriguing biography, and a fascinating portrait of the time period... The Mistress of Paris is not just a biography of a fascinating woman, but an in depth look at the France of the 19th century, and of the hugely different levels of society in place, from desperate poverty to lavish wealth... A skilfully woven tapestry of a fascinating life, this is a hugely interesting and surprisingly involving read – many thanks to the publishers for the copy." "...this is an enthralling story, told with both conviction and sympathy." "Her lovers included painters and politicians, and she caused plenty of scandal that will have you curled up with this book for hours." 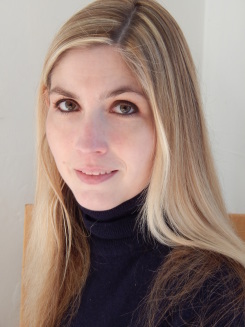 "‘...the research is thorough, and the author has a very straight-forward writing style. Hewitt takes us through from rags to riches, birth to death, whilst reminding us of key historical events…I feel educated and appropriately introduced to the life of courtesans during 19th century Paris...Great read"
"If you haven’t read ‘Nana’ – or, even more so, if you have and are hungering for a less censorious, more deeply researched and respectful biography of the 19th-century French courtesan on whom that novel by Zola is partly based – this book is for you…Valtesse would be totally at home in our self-branding society…Her consumerism, her profession, her politics…and the sheer size of her wealth, make her, alas, a woman for our time. " "If you haven't read 'Nana' - or, even more so, if you have and are hungering for a less censorious, more deeply researched and respectful biography of the 19th-century French courtesan on whom that novel by Zola is partly based - this book is for you...Valtesse would be totally at home in our self-branding society...Her consumerism, her profession, her politics...and the sheer size of her wealth, make her, alas, a woman for our time." "Hewitt is a diligent researcher and her handsomely illustrated debut biography is crammed with period detail…she offers an intriguing insight into the precarious glamour of life as a 19th-century courtesan." "Catherine Hewitt's well-researched and annotated biography...she has written a truly handsome boudoir book." "Hewitt has created an engaging and richly narrated biography exploring not only this figure's life but also the inner workings of Paris at the time Valtesse's star began to rise. Reading like a novel with enticing cliff-hangers, Hewitt's work marries the life of Valtesse with the fascinating history of Paris, imbuing both with vivacity...An entertaining read, this book will likely appeal to history buffs as well as those who enjoy a well-written biography. " "Hewitt's fascinating biography reads like a novel and paints a vivid portrait of a woman who reinvented herself." "it is incredibly readable. The story itself is innately fascinating…Hewitt has a great deal of knowledge on the time period of 19th-century Paris…much to enjoy in this engaging account of Parisian culture."